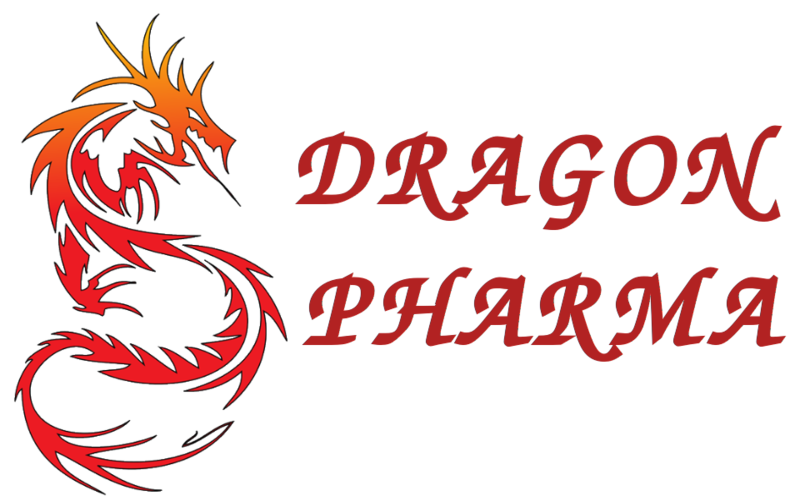 Welcome to official Dragon Pharma website, visitor! 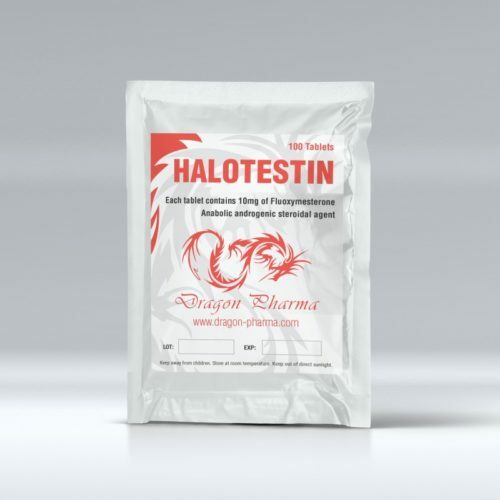 Halotestin is a steroid with anabolic and the most powerful androgenic activity. The active ingredient of this drug is Fluoxymesterone. Different brands of this anabolic can be found under names such as Halotest, Haloxyl. Very often the drug is used during preparation for a competition. Previously, the drug was used to treat delayed puberty in male – hypogonadism. Halotestin also was used in the treatment of breast cancer in women. But now in medicine this steroid is no longer used, but it is popular among athletes. This anabolic has performance-enhancing aggression, because it has established itself in sports such as rugby, martial arts, also this steroid increases aerobic performance of lightweight-athletes. It is still completely unknown, what is the influence mechanism of Halotestin drug, but it is assumed that the active ingredient has a non-receptor effect on the muscles. increases the density of the muscles. All these qualities make the drug indispensable before the competition. It is worth remembering that Halotestin is very toxic to the liver and side effects include acne, prostate problems. Because of this, do not exceed the required dosage. Halotestin dosage can vary within wide limits of 5-40 mg. It depends on age, weight of the athlete and his purposes. Halotestin cycle length can be 2-4-6 weeks, do not use this anabolic longer. The average intake is 20-30 mg per day, by dividing the dose into two intakes. It is better to use Halotestin in the morning and evening during meals, as it will work better than on an empty stomach. You also need to drink Halotestin tablets with plenty of water. The drug is powerful, that’s why it is ideal for the preparation for a competition in bodybuilding. But for the current trainings it is better to give preference to other steroids. For those who only decided on the use of steroids, it is also better to choose another anabolic agent, for Halotestin ingestion an athlete should already be familiar with similar substances. Besides, already important is to be able to competently build own training and know the reaction of the organism. If an athlete wants to use for the first time Halotestin, he needs to start with the lowest dose. For women this drug is not recommended, as there is a high risk of irreversible masculinization. Halotestin is effective not only solo, it showed itself very well in combination with other drugs. We can consider several options for optimal combinations of Halotestin steroid and other anabolic steroids. It is worth paying attention to the cycle, which will help you to increase endurance, strength and will aid to increase muscle mass. For this combination, in addition to Halotestin steroid you need to buy Turanabol, Enantat 250 and Propionate 100. It is obvious that the cycle will be a combination of oral steroids and injectables. From 1 to 6 week you need to use Turanabol at 40 mg daily and Enantat 250 at 250-500 mg per week. The latter drug is taken at the same dosage in 7-8 week and the first steroid is replaced by Halotestin at 20-30 mg per day. At 9-10 weeks, Halotestin steroid is left and instead of Enantat 250 you need to inject Propionate 100 at 100 mg every other day. To avoid side effects, it should be remembered that in addition to the Halotestin drug it is necessary to buy Nolvadex and also buy Clomid for post cycle therapy. Buying steroids without a prescription legally – is problematic. It is a fact! © 2009 - 2019 Dragon Pharma. All Rights Reserved.